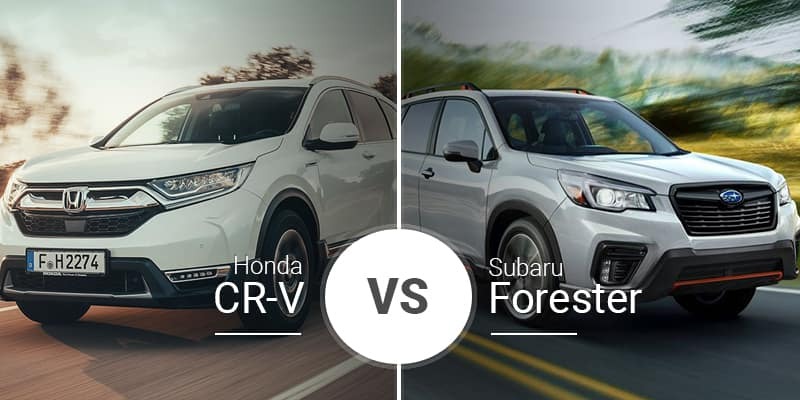 Small crossovers like the 2019 Honda CR-V and 2019 Subaru Forester offer small footprints and great fuel economy while also offering plenty of roominess. 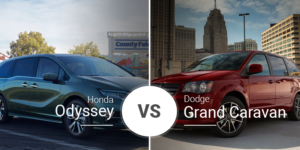 Which one is better for our Rochester area buyers? Continue reading to find out. The Honda CR-V went through its last redesign in 2017, which brought in a new, more mature look. Much like its sedan cousin, the Accord, this redesign included a flatter nose, a bolder grille with large chrome accent, and tons more. This made the CR-V one of the most modern crossovers on the market. 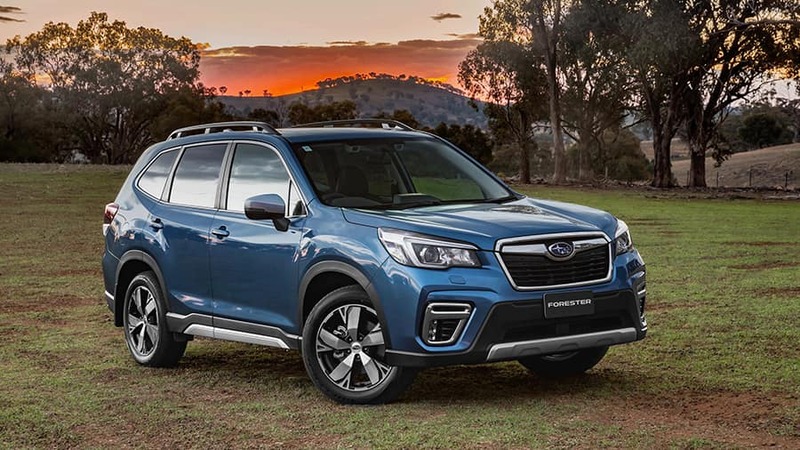 The 2019 Subaru Forester received a redesign of its own, but, like many Subaru redesigns, the changes are subtle. When you put the 2019 Forester next to a 2018 model, the changes become clear. They include new front and rear fascias, a redesigned hood, new lighting, and tons more. The Forester also boasts a longer wheelbase, but we’ll go over what that means when we talk about the interior. In their base trim levels, the 2019 Forester and 2019 CR-V go in different directions. The CR-V boasts a handful of desirable features, including 17-inch alloy wheels, power mirrors, active grille shutters, LED daytime running lights, and more. The 2019 Forester is far simpler with its standard steel wheels, black manual mirrors, and other lower-tech features. In terms of size, the 2019 is longer and taller than the CR-V, plus it has more ground clearance and a longer wheelbase. The only measurement the CR-V is larger in is width. 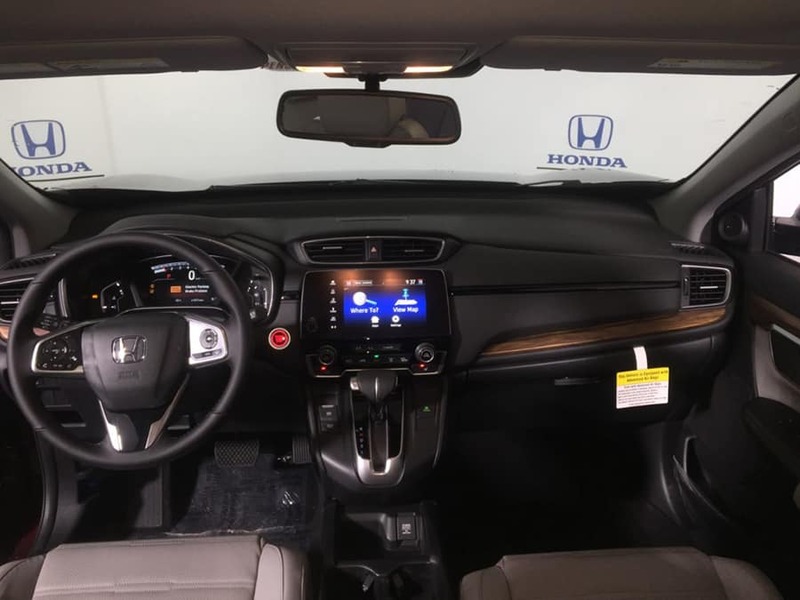 The 2019 Honda CR-V’s interior is not overly special, but next to the 2019 Forester, it is a bit more playful and stylish. Also, with its more horizontal lines and trim, the CR-V’s dash feels wider than it actually is. The 2019 Forester shares its interior layout with several of its showroom siblings, so the familial ties are evident. While it may not have the fun nature the CR-V has, the Forester is more functional with its large volume and tuning knobs and shows off a fun side with some colorful accents on the Sport model. In terms of features, the simpler 2019 Forester has more to offer in its base setup than the CR-V. Its standard options include a high-resolution 6.5-inch touchscreen, Apple CarPlay, Android Auto, hard-wearing vinyl bolsters, and SiriusXM. The Forester also keeps the occupants inside safe with loads of standard active safety features, including automatic emergency braking, adaptive cruise control, lane-keep assist, and more. Most of these level of features do not hit the CR-V lineup until the second-tier EX trim. Small SUVs and crossovers are far from performance vehicles, and the 2019 CR-V and 2019 Forester are examples of this. The redesigned 2019 Forester loses its potent turbocharged XT trim and shrinks to a single powertrain option: a 182-horsepower 2.4-liter engine paired to a continuously variable transmission and all-wheel drive. This adds up to a sluggish 9.6-second 0-to-60 sprint time. The CR-V has a pair of engine options, including a standard 184-horsepower 2.4-liter and an optional 190-horsepower 1.5-liter turbocharged four-cylinder. 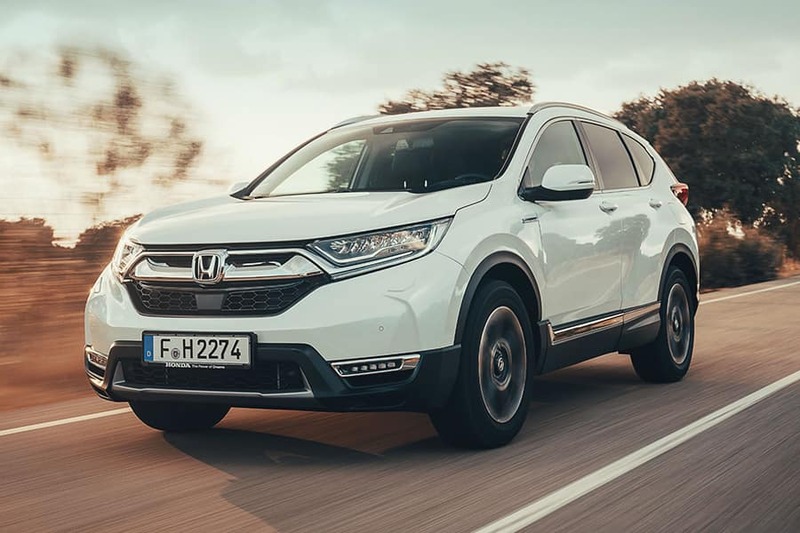 With the base engine, the CR-V hits 60 mph in 8.2 seconds, while the more accessible torque of the turbocharged 1.5-liter drops the sprint time to 7.6 seconds. The CR-V comes standard with front-wheel drive and all-wheel drive is an option. 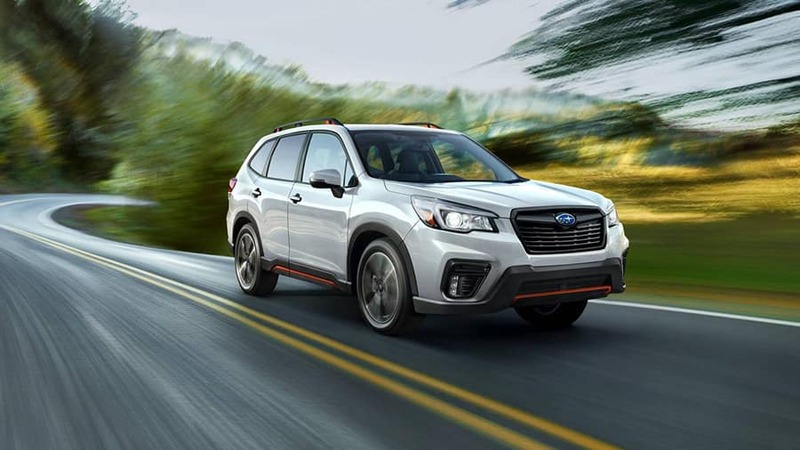 Like all Subaru crossovers, the 2019 Forester is off-road ready in all trim levels. Moving up to the second-tier Forester Touring adds off-road-enhancing goodies like X-MODE wheel spin limiter and hill-descent control. 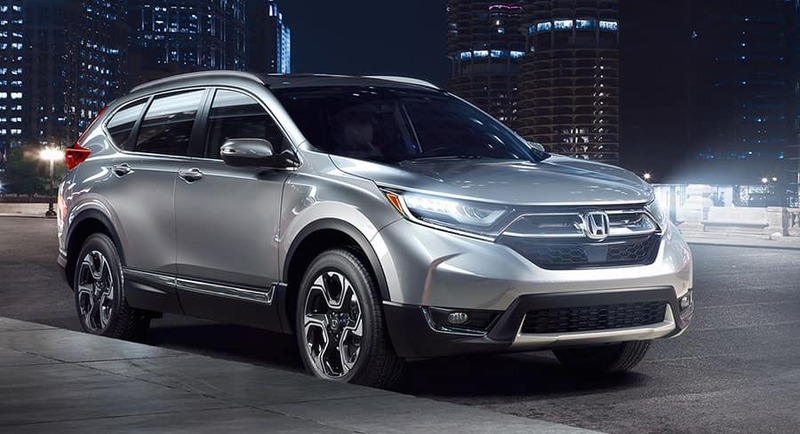 The 2019 Honda CR-V is available in four trim levels — LX, EX, EX-L, and Touring — and their starting prices range from $24,250 to $32,750***. The five trims that make up the 2019 Subaru Forester lineup include the base, Premium, Sport, Limited, and Touring. Their starting prices range from $24,295 to $34,295. Need a crossover that rides like a car and still has some off-road capabilities? The CR-V is right for you with its sedan-like drive, roomy interior, and upscale features. Who Should Buy the 2019 Subaru Forester? Buyers looking for a more off-road-ready crossover will fall in love with the rugged, high-riding Forester. 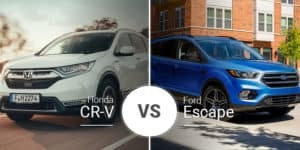 Is the 2019 Honda CR-V the right crossover for your family? 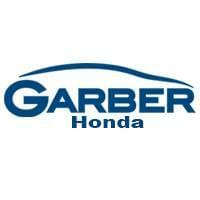 Come test drive is at Garber Honda serving the Rochester area to get a little seat time in its. Right down the road from Pittsford and Henrietta, our new Honda dealership has loads of 2019 CR-V models in stock today. Can’t make it into our Rochester area Honda dealership today? 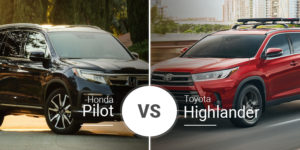 Check out our online inventory, pick a few 2019 CR-V models you like and schedule a test drive for later.